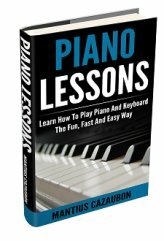 Yamaha keyboard sustain pedal guide. If you're looking for a good keyboard sustain pedal, you're in luck. You will find access to one that meets your needs, here. You will find one at a great price. You even get free shipping on your keyboard sustain pedal. So you save money. 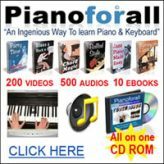 Highly Recommended: Go here for the BEST piano/keyboard course I’ve seen on the Internet. Two popular sustain pedals from Yamaha include the Yamaha FC4 piano style sustain pedal and the Yamaha FC5 footswitch sustain pedal. Both of them are very efficient. 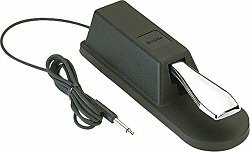 The Yamaha FC4 piano style sustain pedal works with many different types and brands of keyboards. Not only Yamaha keyboards. These include Roland, Yamaha Tyros, Akai and Kawai keyboards or any keyboard that has a polarity switch. It comes with a 6 ft. cable and 1/4" phone plug. It is designed to work and feel just like an acoustic piano's sustain pedal. Forget about pedals that slide all over the floor when you play. The Yamaha FC4 grips the floor and stays put while in use. The Yamaha FC5 footswitch sustain pedal costs much less than the Yamaha FC4 piano style sustain pedal. So it's all about your preferences. If you prefer piano style pedals the FC4 is just what you need. If you like footswitch style pedals then you will be delighted with the FC5. These sustain pedals are not limited to keyboard use. The Yamaha FC5 is particularly popular for use with tone modules and drum machines. 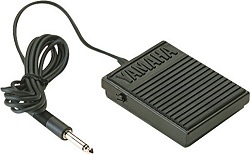 When you need a good Yamaha sustain pedal, there's no need to worry. You can find one at a good price on the Internet. It's easy, fast and very convenient. Just check out the many stores that sell keyboards. Go here to buy a keyboard sustain pedal of your choice. Sustain pedal works in reverse. How to fix. Return to Yamaha keyboard accessories page. Return to Yamaha keyboard home page.